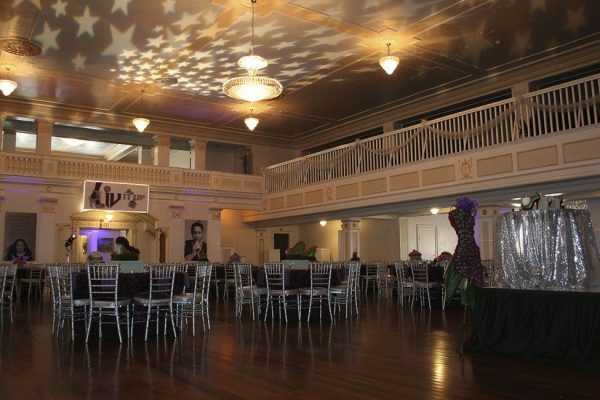 Located on the second and third floor of the facility, the Grande Ballroom definitely measures up to its name. 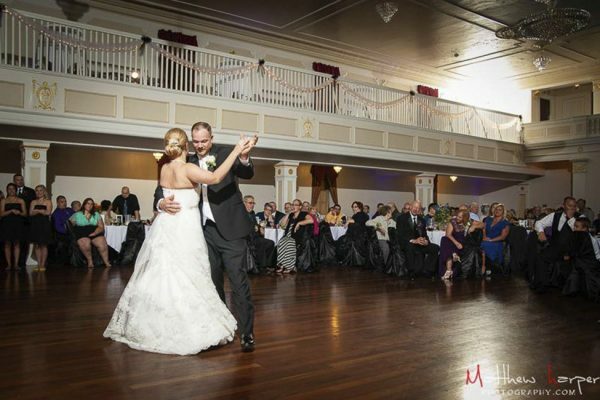 Beautiful hardwood floors make just the right place for dancing. 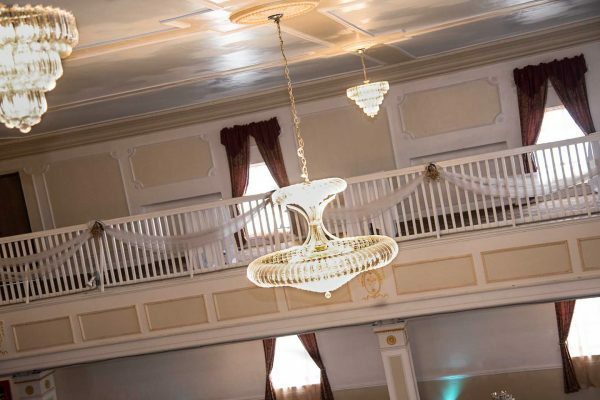 The high ceilings, lovely mezzanine and elegant decor give this room a very warm ambiance. 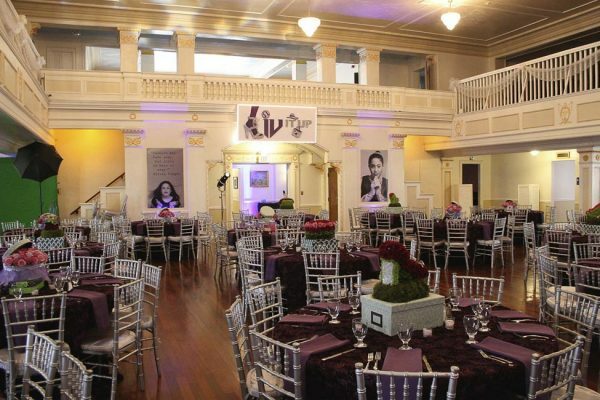 It also comes complete with a stage which is ideal for DJ’s, awards, live shows and entertainment. 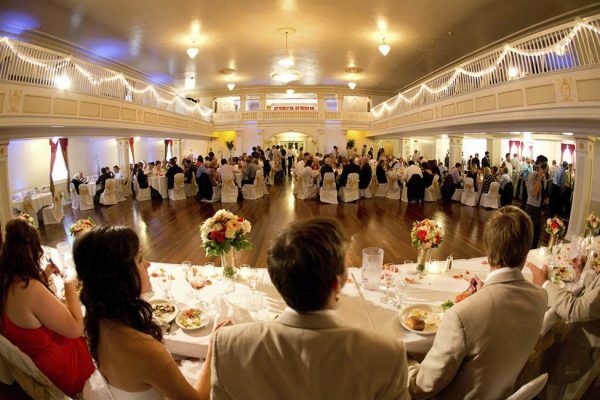 There is a Bridal Suite, and two bars. 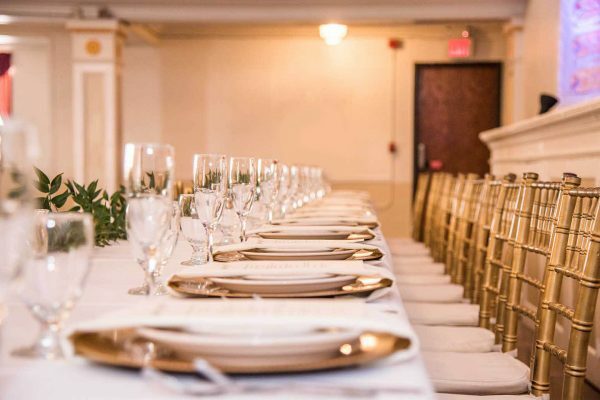 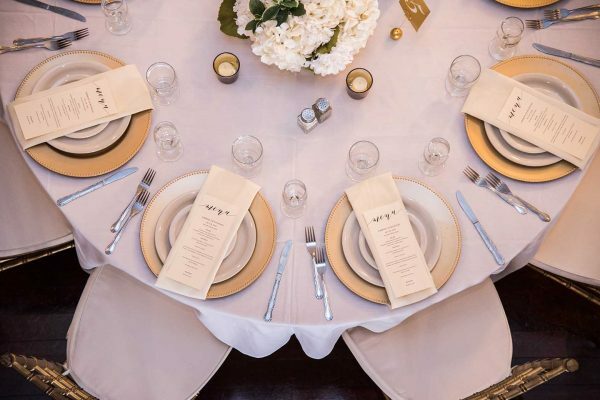 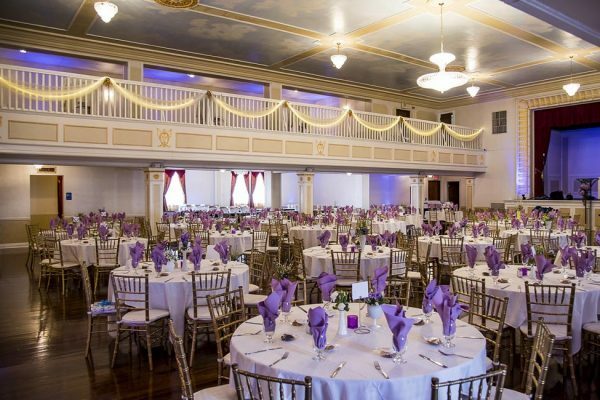 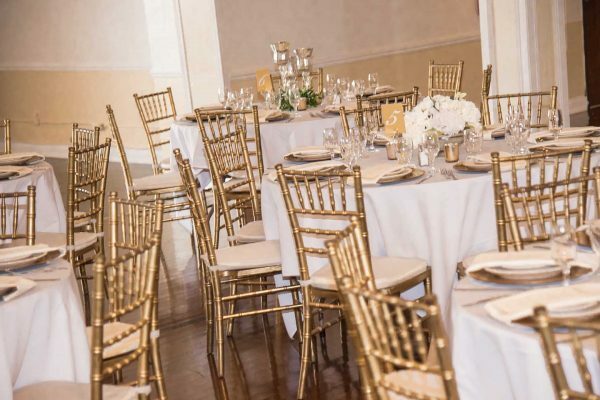 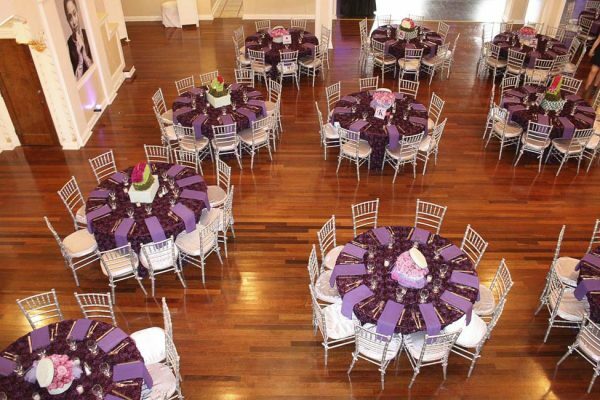 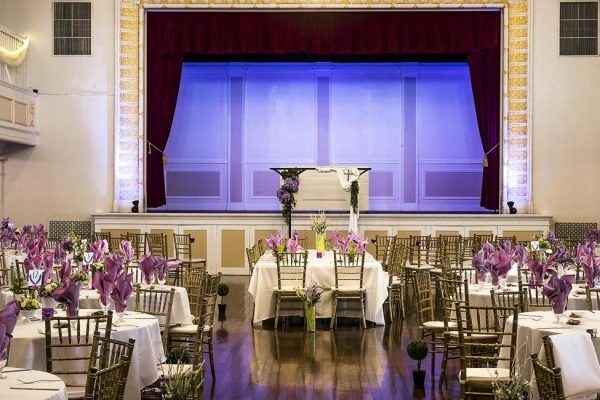 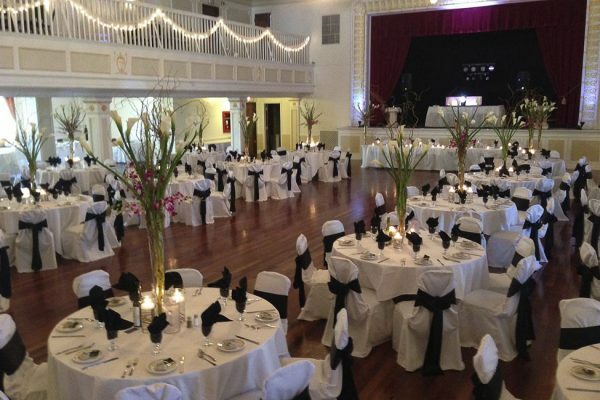 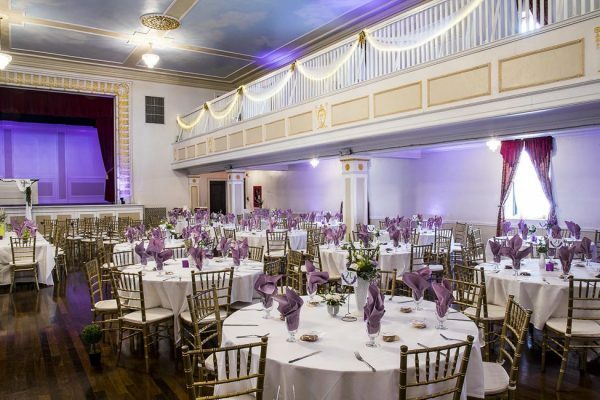 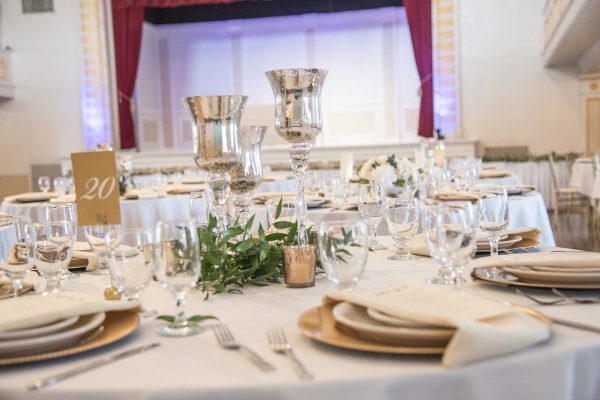 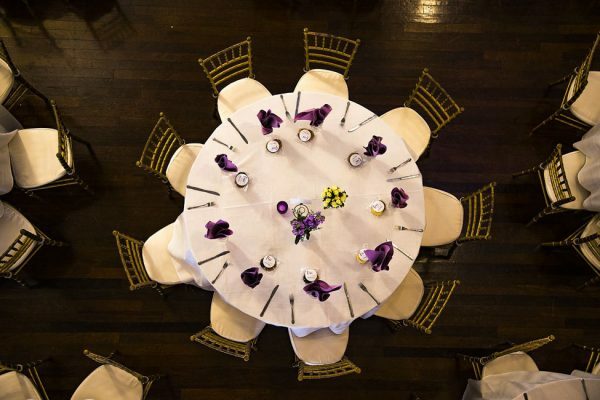 The Grande Ballroom can accommodate up to 500 guests for a reception or indoor ceremony. 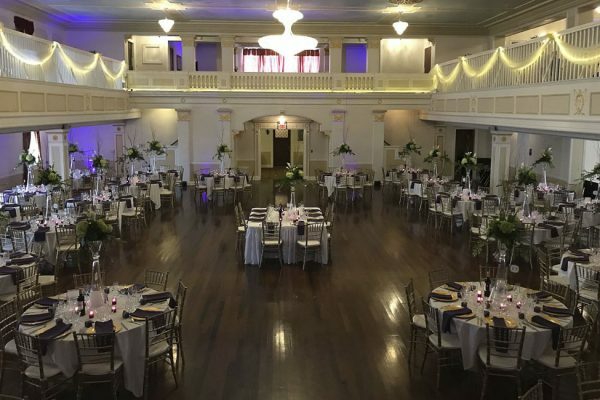 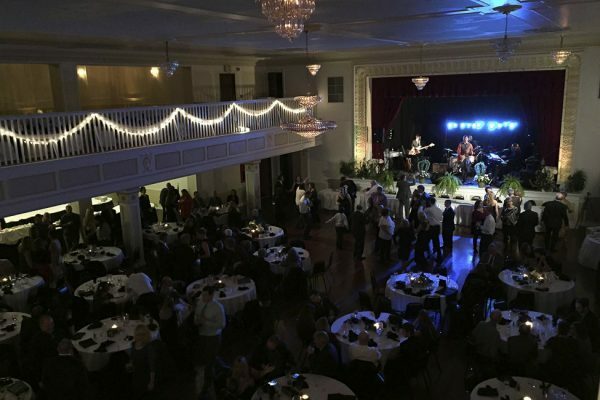 ”There was lots of room in the Grande Ballroom for our 200 guests on the dance floor and the photo booth area was able to spread out on the balcony level.